Fox News pulled out all the stops for its first night without Bill O'Reilly, and the network was rewarded with O'Reilly-like ratings. Tucker Carlson, on his first night in O'Reilly's 8 p.m. time slot, averaged 636,000 viewers between the ages of 25 to 54, which is on par with O'Reilly's performance in the months before he was fired, far ahead of CNN and MSNBC. The network's new 9 p.m. program, "The Five," averaged 568,000 viewers in the 25-54 demographic, narrowly beating MSNBC's Rachel Maddow, who averaged 524,000. At 10 p.m., Sean Hannity averaged 544,000 viewers in the demo. All told, it was a normal night for Fox News, despite extraordinary circumstances, and right now normal is good for Fox. O'Reilly's exit was the start of a new age in cable news. "The O'Reilly Factor" was consistently the No. 1 show on cable news, spurring millions of viewers to turn on Fox News at 8 p.m. sharp and giving a lift to the network's entire prime time lineup. The real impact of O'Reilly's ouster won't be known for months. Cable news ratings tend to change at a glacial pace. But Monday night's results suggest that almost all of O'Reilly's former viewers were content to watch Carlson at 8 p.m. instead. Looking long term, some TV executives are confident that Fox won't take a hit with O'Reilly off the air. Others say MSNBC, CNN and other channels could benefit over time from the shakeup at Fox. On Monday, the conservative cable news channel ranked No. 1 all day long -- a reminder of the Fox audience's loyalty and consistency. As Dylan Byers observed in the "Reliable Sources" newsletter, Fox's product was consistent too, even though some of the faces were in new time slots. "Carlson, 'The Five' and Hannity all dedicated their hours to boosting President Trump, tearing down Democrats and preying on conservative anxieties -- from liberal college campuses to $425 jeans," Byers wrote. He pointed out that "Carlson's first segment was literally titled 'Trump Wins Again.'" According to Nielsen data, Fox saw a bigger-than-usual spike at 8 p.m., with some viewers surely tuning in out of curiosity, given the media coverage of the O'Reilly harassment scandal and Fox's extensive promotion of its new lineup. 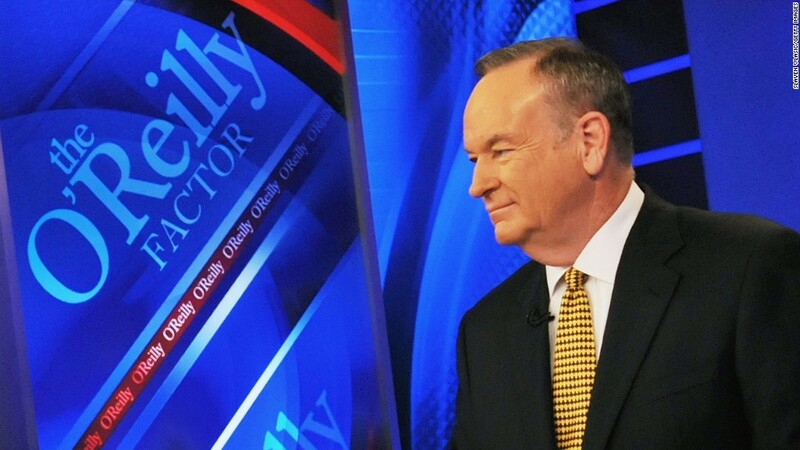 Fox averaged 391,000 viewers in the demo at 7 p.m. and 636,000 at 8 p.m.
Carlson began the 8 p.m. hour with a tip of the hat to O'Reilly, saying the former host "set a high bar, and I'm going to do my best to meet it. Thanks for sticking with us." Some of the advertisers who abandoned O'Reilly's 8 p.m. hour were back, according to Variety. To keep the ratings high at 9 p.m., Fox tried an old TV trick -- fewer commercials early in the hour. "The Five" didn't go to a commercial break until 9:25, a highly unusual format designed to keep viewers watching for a longer period of time. Fox is feeling pressure at 9 p.m. "The Rachel Maddow Show" has been racking up wins against Fox in recent months. MSNBC averaged 370,000 viewers in the 25-54 demo at 8 p.m., 524,000 for Maddow at 9 p.m., and 380,000 at 10 p.m.
CNN averaged 352,000 viewers in the 25-54 demo at 8 p.m., 305,000 at 9 p.m. and 330,000 at 10 p.m.
CNN has been running special programming this week, in the lead-up to President Trump's first 100 days in office, with a prime time edition of "The Lead with Jake Tapper" at 9 p.m.
On Monday CNN's Anderson Cooper hosted a town hall with Ohio governor John Kasich at 10 p.m.
On Tuesday afternoon the channel issued a press release about the ratings results with the headline: "Fox News Channel Continues to Dominate." The network continues to face challenges on several fronts, however. There are several pending lawsuits against the network, plus an ongoing federal investigation. Allegations of harassment by O'Reilly -- which he has denied -- have also renewed questions about Fox's workplace culture. On Tuesday, right before the ratings came out, the network's human resources chief circulated another memo about sensitivity training. It was sent to freelancers and contributors. "All Fox News Channel employees, contributors, and freelancers are required to go through a one-time, one-hour sensitivity training session," the memo said, urging staffers to sign up. "It is critical that everyone attends to ensure that we maintain a professional workplace." According to Fox, 96% of its full-time employees have already completed the training, and contributors and freelancers are being included as well.